There are many different ways to explore this region by snowmobile. 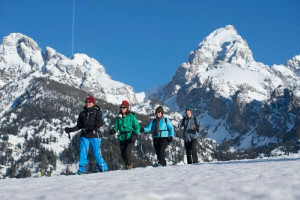 Join a guided tour or rent your own and head out onto the trails of this winter wonderland. 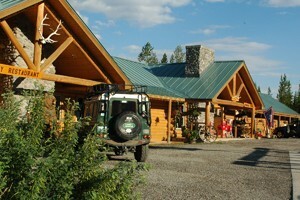 Specializing in customized multi-day snowmobile tours to Yellowstone National Park and the Continental Divide. Over 30 years of experience with knowledgeable guides. We provide the ideal backcountry escape whether you're a first time snowmobiler or a seasoned rider. 2017 Ski-Doo snowmobiles are waiting for you! Where can I go snowmobiling near Jackson Wyoming? 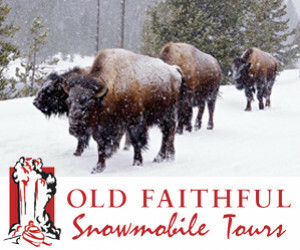 Tour operators guide snowmobile trips to Old Faithful, the Grand Canyon of the Yellowstone and more. Note that snowmobilers are ONLY allowed to enter Yellowstone on a guided tour. For the latest information about Yellowstone National Park snowmobile access click here. One of the best snowmobiling trips around includes a soak in the Granite Hot Springs. Granite Hot Springs are located in Hoback Canyon south of Jackson. This winter wonderland offers groomed trails as well as wide open snow fields. Togwotee Pass is located northeast of Jackson. Head to Moran and then head west toward Dubois. The snowmobiling area will be obvious near the top of the pass. From the east side of the valley, head into the Gros Ventre Mountain Range via snowmobile for great views of the Tetons and the potential to see lots of wildlife. 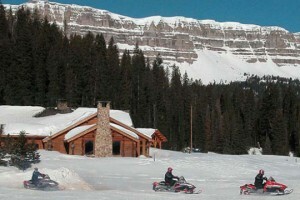 Access the Wyoming Range from Star Valley Wyoming and enjoy the solitude of this snowmobiling area. How can I find snowmobile rentals or a guide? 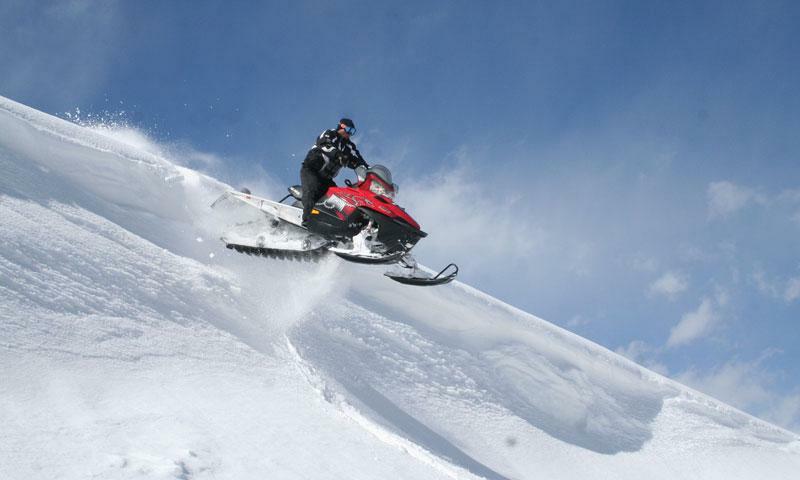 There are many snowmobile guide services and places to rent a snowmobile in Jackson. Browse through the listings on this page and contact the businesses directly for pricing. Snow Devils is a local snowmobiling club, responsible for organizing the famous Snow King Hill Climb in March. Wyoming State Snowmobile Association is a snowmobile club in Wyoming which hosts events and keeps its members updated on trails, conditions, and gear. 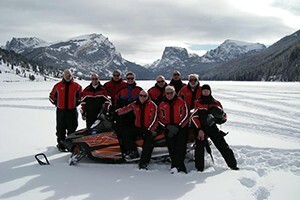 Jackson Hole Snow Devils are a Jackson based snowmobile group whose purpose is to enjoy and promote winter recreation. 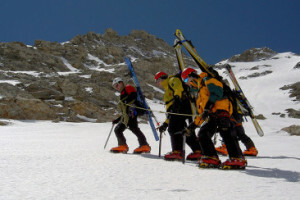 The club hosts a number of events throughout the winter, including Snow King Hill Climb. Offering information on snowmobile use and how it affects wild areas. Guided snowmobiling in Steamboat Springs Colorado. 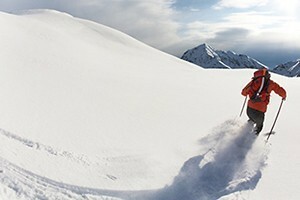 Island Park Idaho offers huge amounts of snow for snowmobiling fun.